The heroes are asked to accompany Dr. Albert Mars to the distant desert world of Omariss 7. 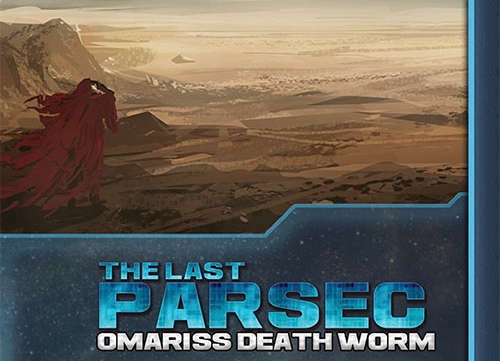 There he hopes to capture the mysterious and legendary “death worm.” A local war complicates the matter, so the JumpCorp team will need all its wits to survive this dangerous expedition. Pre-Gens will be provided. No experience with Savage Worlds or Fantasy Grounds necessary. Fairly experienced with SW rule set, SciFi companion, and the Last Parsec Core. I have actually GM’d this adventure but never played it. So I fully understand that I will not be a priority for selection and should not be. But if you happen to get a sudden opening let me know, I would love to play it. You play with Daedalus don’t you? Event is full right now indeed but there may be some cancellations or no-shows. You’re the first in line if that happens. Thank you for your interest! Yes Sir, I am playing with Daedalus. Not a problem on you being full. If you get some new fella, be sure to put them in front of me. Priority goes to folks new to the rule set and fantasy grounds. Eric, something has come out of the blue and I’ll need to cancel. Please remove me as a player. Sorry dude? @meliath – you can cancel your booking yourself. Go to the “My Bookings” page and click the “cancel” link. I have played Last Pasec before I love the setting.